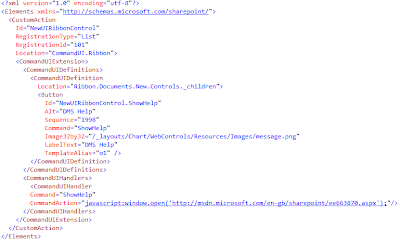 After seeing what we can do with Menu Items in Part 4, we are going to introduce how to build Ribbons for Sharepoint 2010. 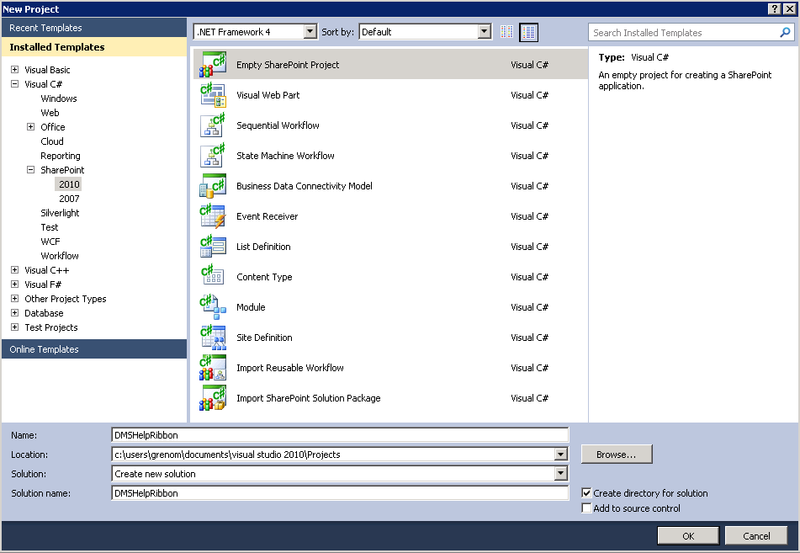 CommandType="General | OptionSelect | IgnoredByMenu"
In order to build one we will need Visual Studio 2010. 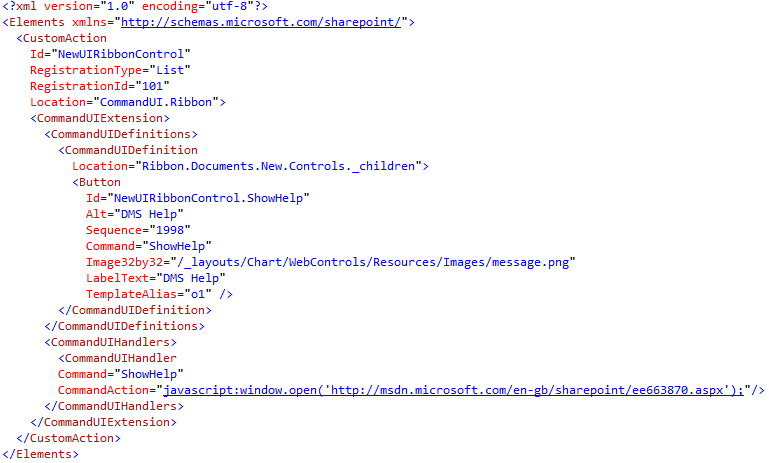 3- On the name text box type DMSHelpRibbon and click enter. 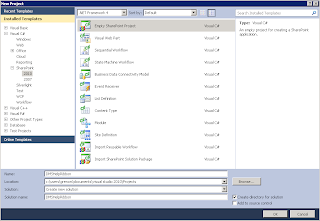 5- On teh emty project Add->New Item->Empty Element and call it DMSHelpRibbon. 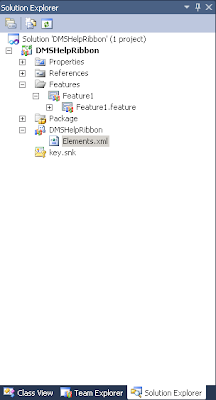 10- If you go to Share Documents and click on "Documents" you should be able too see the new Ribbon. 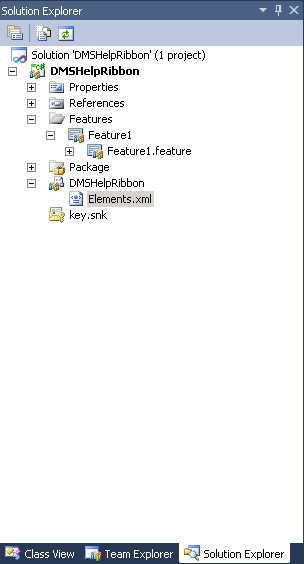 Ribbons like menu items can be used to customise our DMS to the extreme.